After shelling them all, wash really well. 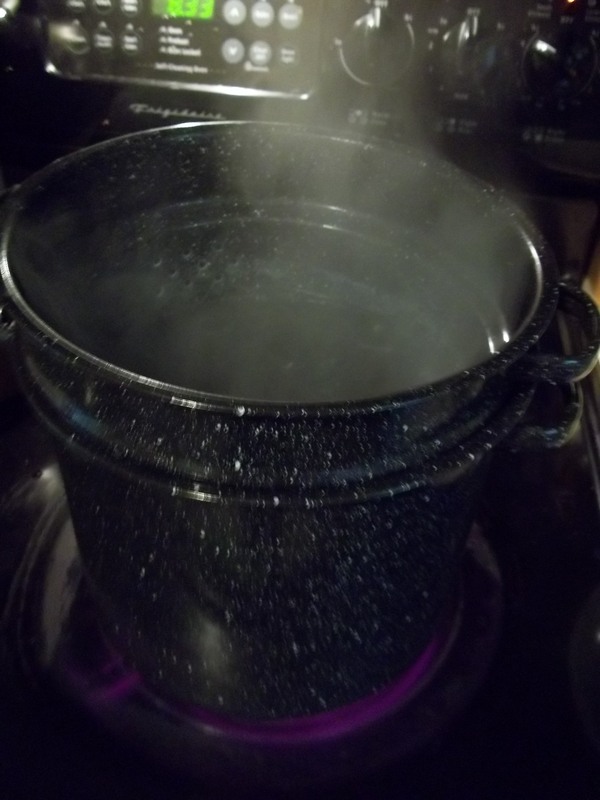 Start to heat up water in a pot. I have one specifically for blanching veggies that is pretty handy. You want your water to come to a nice rolling boil. What is blanching, just in case you don’t know? Blanching is the process of scalding veggies in boiling water or steam for a very short time. Then you stop the cooking by cooling them quickly before freezing them. I just read in one of my preserving cookbooks that blanching serves several purposes. It cleans the surface, helps brighten the color, and helps with loss of vitamins. The scientific explanation is that it slows or stops enzyme action that causes loss of flavor, texture, and color. So basically blanching is necessary if you want your veggies to actually stay nice while being frozen. Oh, and it also softens them up a little bit as well. So there. Not that you may have ever wanted or needed to know that info, but I’m a big nerd at heart and thought I’d fill you in on what I learned. As your water is coming to a boil, get prepared by laying out labeled freezer bags and fill a big bowl with ice cold water. 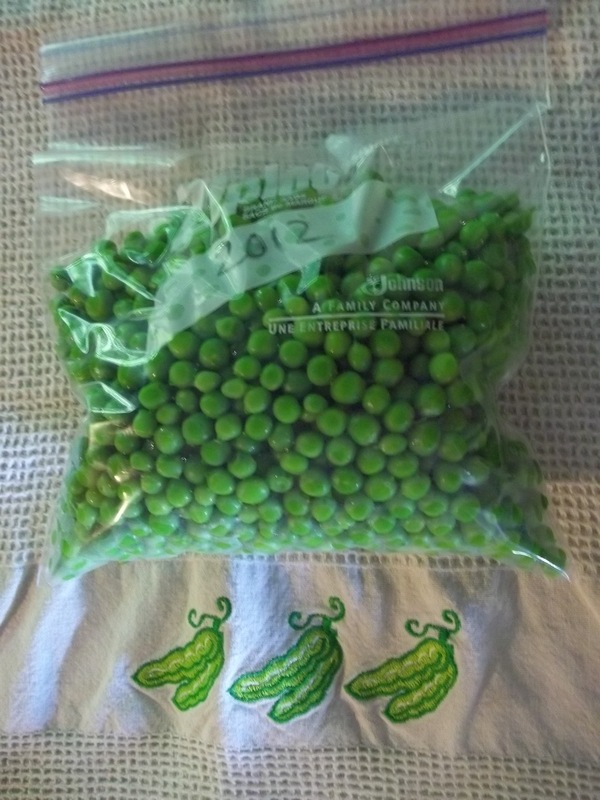 I also use a big slotted spoon to transfer my peas into the freezer bags, so have something like that ready too. Also make sure you have lots of ice available as you will need to refill that ice water bowl frequently. 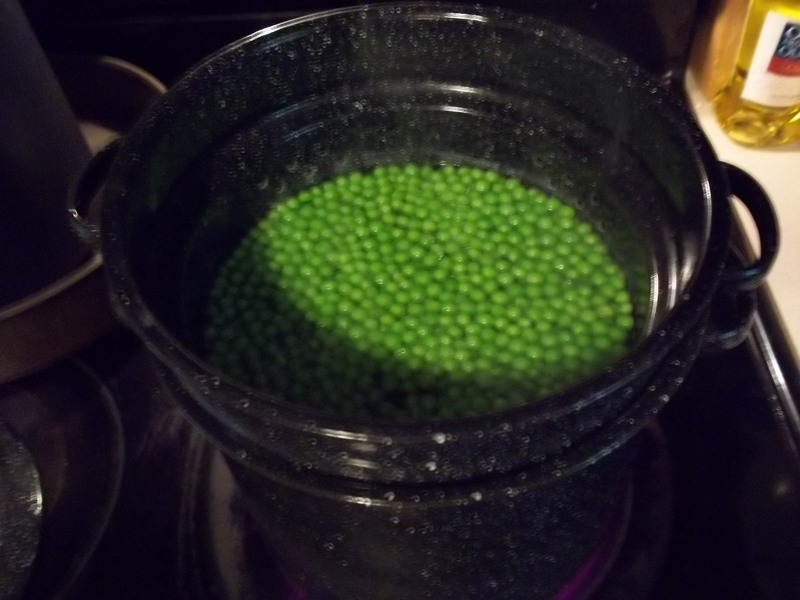 Once the water is at a boil, drop a batch of peas into the blanching pot and let them go for about 2 minutes. You really don’t need them in there longer than that. They will start to look something like this. 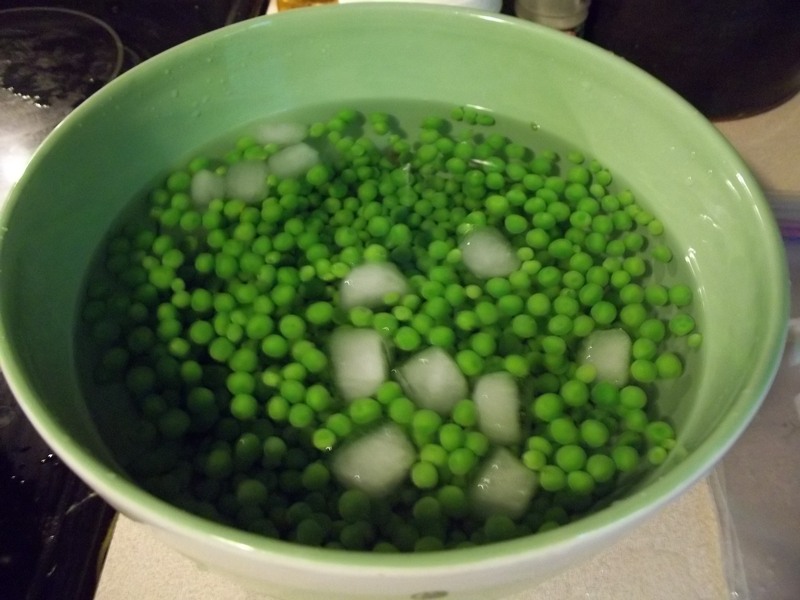 Transfer peas from pot to the bowl with ice water. 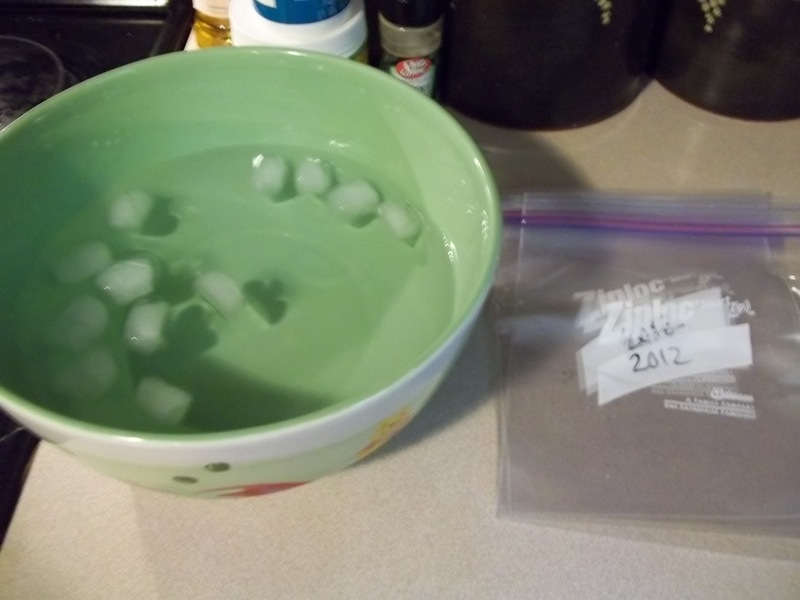 Let them in the ice water for about 2 minutes, then use slotted spoon to place them in freezer bags. You want them well drained and no extra air to be in the bags before sealing them. Pop into your freezer and they will taste delicious this winter. This same process is used for freezing many other veggies, but the blanching times vary a little depending on the vegetable. Thank you si much for the advice! 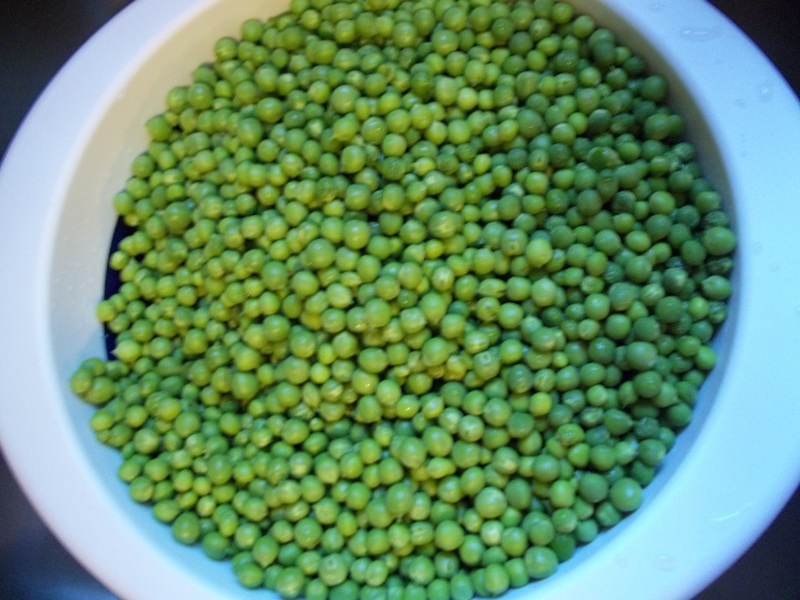 I’m experimenting growing peas… and am about to freeze some! The most recent edition – http://laurawilliamsmusings.blogspot.com/2012/06/carnival-of-home-preserving-13-come.html – open until Thursday 6/7. Peas are actually my favorite vegetable. I don’t why I’ve never tried growing them before! Great tutorial! Thanks so much for sharing at Mom On Timeout!